We all look for tax saving options in the month of March, i.e the end of the financial year and our tax consultant tells us to invest in ELSS. But most of us don’t know ELSS meaning. In the hurry to save tax in year-end instead of trying to know more about ELSS we generally make some random tax saving decisions. In this post, I will try to describe ELSS in simple terms. 1) Is a diversified equity mutual fund. 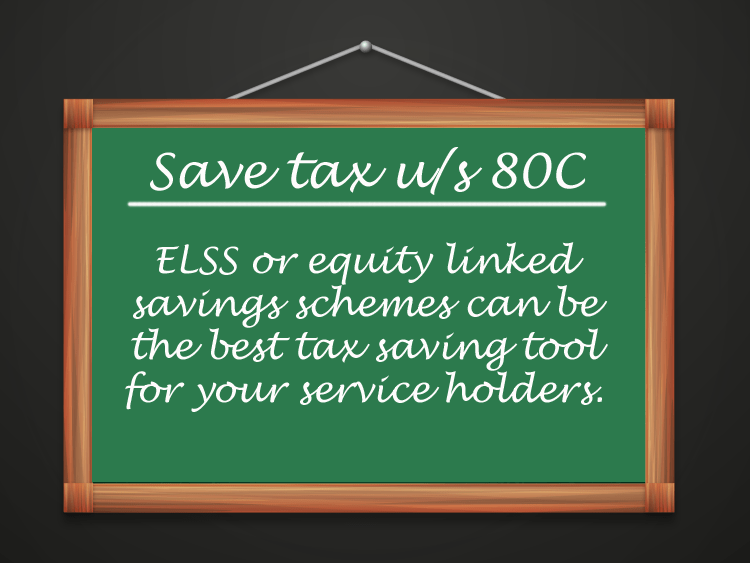 2) We get two benefits out of ELSS – market linked benefits as well as tax savings under section 80C. 3) Has a lock-in period of 3 years. 4) Most ELSS has two options – growth (growth benefits are accrued lump sum) and dividend (growth benefits are given time to time in the form of the dividend). 6) Maximum investment in ELSS can be Rs. 1.5 lacs per year under section 80C. 1) Low lock-in period as compared to PPF (15 years lock-in), NSC (6 years lock-in) and tax saving fixed deposits (5 years lock-in). 2) Investments are in equities, so much better returns expected in the longer term. Actually, the lock-in period gives the equity investments time to grow. 3) Those who don’t invest in equities directly it offers a perfect equity exposure for them. What is ELSS investment best practice? 1) For young people, ELSS is the best option to save tax as it will give equity exposure. 2) Try ELSS if you have never invested in the stock market, either directly or indirectly. 3) Start tax planning at the start of the year to choose the best ELSS mutual funds with proper research and to avoid any time pressure. You may start investing in ELSS through Zerodha Coin platform HERE.